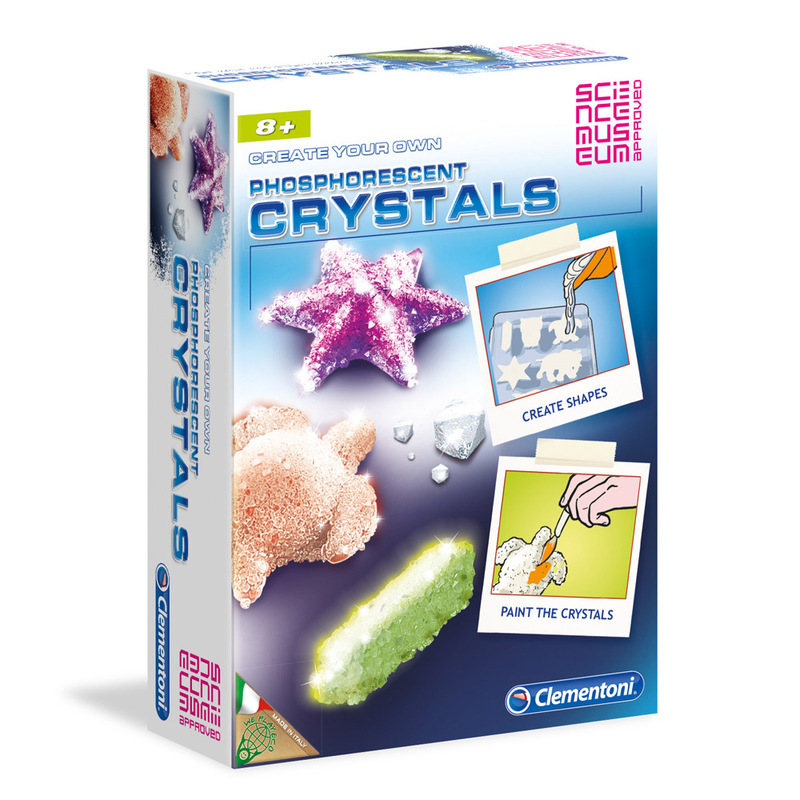 Entertain the kids with the Clementoni Phosphorescent Crystals. This fantastic science kit allows your children to grow their very own glow in the dark crystals, being the perfect blend of fun and education. The set contains everything you need for a fun afternoon, allowing you to design the crystals’ shapes with the included mold and choose what colours you want them to be. It’s sure to be a huge amount of fun! Not suitable for child under 3 years. Make your very own glow in the dark crystals. Colour and shape your crystals as you like. Contains everything you need for a safe and fun experience. Presented in a Clementoni box. 8 x Sachets of Aluminium Potassium Sulfate. Test Tube Containing Strontium Aluminium.